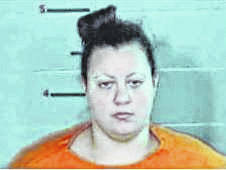 GALLIPOLIS — Four individuals were recently sentenced in Gallia County Common Pleas Court by Judge Margaret Evans, according to Prosecuting Attorney Jason Holdren. India L. Stewart, age 26, of Dayton, Ohio, was recently re-indicted and convicted of Possession of Heroin, a felony of the first-degree, after her charges were dismissed in 2016. 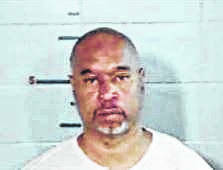 Stewart, who was carrying 137 grams of heroin through Gallia County, was sentenced to five years in prison, to be followed by five years of post-release control. At the time the offense was committed in 2016, the statute in place called for a prison sentence of 3-11 years; however, the same charges, if committed today, carry an automatic 11-year sentence. Jamie L. Fortune, age 23, of Southfield, Michigan, was recently convicted of Aggravated Possession of Drugs, a felony of the second-degree. Fortune, who was in possession of 83 Oxycodone (30mg) tablets, was sentenced to two years in prison, to be followed by three years of post-release control. Anthony-Carlos S. Whigham, age 35, of Detroit, Michigan, was recently convicted of Possession of a Controlled Substance, a felony of the second-degree. 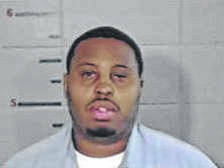 Whigham, who was in possession of 65 grams of Cocaine, was sentenced to four years in prison, to be followed by three years of post-release control. Joseph Watkins, age 49, of Detroit, Michigan, was recently convicted of Complicity to Aggravated Trafficking in Drugs, a felony of the second-degree. Watkins, who was carrying 360 Oxycodone (30mg) tablets and 55 Oxycodone (15mg) tablets, was sentenced to four years in prison, to be followed by three years of post-release control.